Selecting the right Instagram filter to use for your photos can sometimes be an agonizing task. Do I want to look tanner with Kelvin or Early Bird filters? Or do I want to look a bit moody with Brannan filter? You can easily spend an hour of your time tapping back and forth between various filter selections. 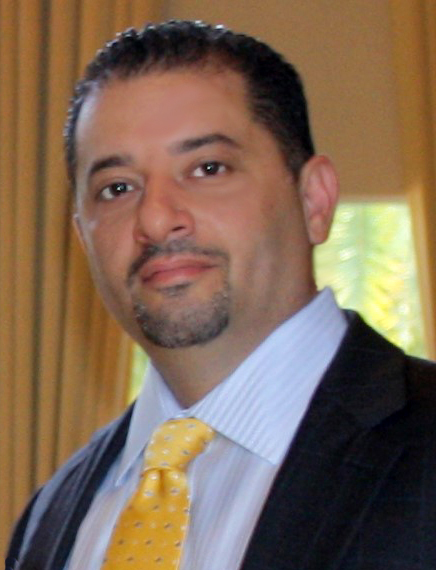 Fortunately, you can narrow down your choices by learning from the gurus like Issa Asad, who is the author of the best-selling e-book, Instant Profits with Instagram, and the CEO of two companies located in Dania, Florida: Q Link Wireless and Quadrant Holdings. 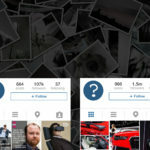 Here is a guide to Instagram’s photo filters to help you make the most out of your “Instagramming” experience. Amaro is meant to add more light to your image. Most of this light is however focused more towards the center. You’ll find this filter quite effective when used on very dark photos. You may use Amaro to give your photos an aged appearance. This is the go-to filter when you want to give your photos a nice glow that is combined with softer lighting on the subject. It is ideal to use Rise when editing portraits. Hudson has a slight taint with altered lighting, an effect which gives images cooler, bluer and icy look. This is an ideal filter to use on outdoor photos of building or monuments. X-Pro II has high contrast and adds a juicy pop to colors. You can use this filter to make your images more vibrant and introduce a warm appearance. This filter is recommended for both outdoors and indoors. Sierra infuses a cloudy appearance on your photo giving it the impression of “day-dreaming”. This effect can be used to make the photo look softer. Unlike Rise, Sierra brings a faded look with it. This filter is suitable for outdoor shots. This filter mainly adds rich colors and strong shadows to your image. It either makes the photo stunningly beautiful or plain bad. Avoid using Lo-Fi on selfies, but use it to show off what you’re eating. This photo filter makes your pictures look antique. You may want to use it when you want to invoke past times or awaken precious memories. Early Bird also adds drama to your pictures. Sutro darkens your photos and brings down the exposure. It is ideal to use Sutro to an effect to Halloween photo shots, or when you accidentally over-exposed a picture. Toaster gives the center of your photo a burnt look, making it look a bit aged. This also brings about a dramatic effect to your images. You may use it when you want to focus on a subject that is at the center of the photo. Suitable for night outs, summer events or BBQs. Known to bring a grayish tint that makes images look a bit dark with a metallic appearance, Issa Asad recommends using Brannan for your most emo #tbt pics or artsy photos of Ferris wheels or chairs. Since it turns your image from colored to black and white, this filter tends to give light and shadow a bit more prominence in your image. Hefe is closely related to Lo-Fi although the colors aren’t as dramatic. You may want to consider using this filter on some of your fun photos with lots of color e.g. poolside pics and flower photos. If you want to fade down the colors of your pics without completely washing them out, then Valencia is just the ideal filter. Use it on photos with dull, fine colors e.g. light pink to make them look prettier. The “creamy” color effect that comes with Nashville is only suitable for very few photos. All the same, it seems to create a pleasant, pastel tint to your photos. You may use it on romantic scenes with a nostalgic feel. Use this filter when you want to make the photo look like it was taken in the 70s. It gives your images a brighter and faded look. Use it on photos that you want to look retro. Kelvin is quite a tricky filter to work with. Its high saturation and warm temperature adds a late afternoon kind of glow to your photos. You may use it on pictures taken during the sunset. Starting on Instagram I have been having a difficult time finding the best filters for my pictures.Thank you for this it has helped me a lot in my quest to have a stable instagram business. It’s guide to Instagram’s photo filters to help us make the most out of our “Instagramming” experience. I just got Instagram so this is a good overview. Great explanation of the filters, much quicker than working what each one does. I really love how the 1977 filter makes my pics look.